Potty about Paulaner? As a leading beer distributor in Malta, so are we. Our Birra Biss team of beer enthusiasts have compiled a list of facts about wheat beer to impress your guests at the next social event on your calendar. What qualifies as wheat beer? 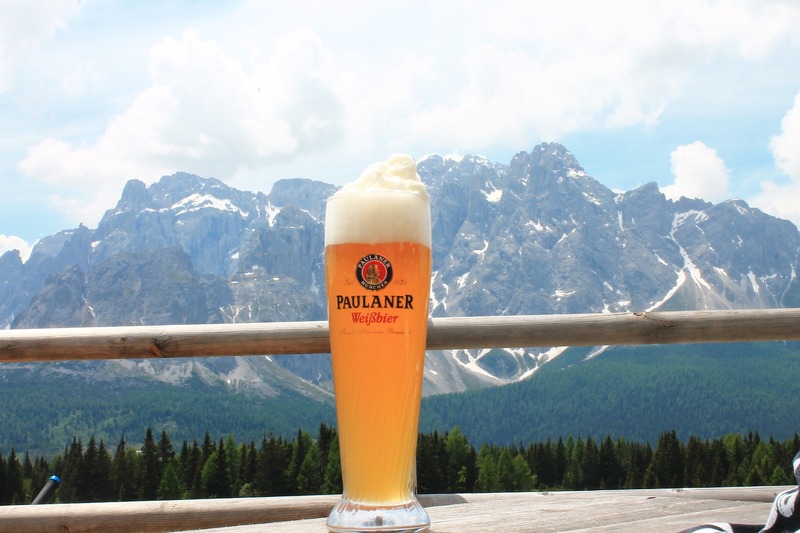 As the name suggests, wheat beer is usually top-fermented and is brewed with a large proportion of wheat relative to the amount of regular barley malt – in fact, it should contain 30 – 70 % wheat malt. What’s the difference between wheat beer and light lagers? Unlike wheat beers, light lagers use mostly malted barley and an addition like corn syrup or rice to provide sugars which ferment into alcohol. Moreover, wheat beers are often made using a yeast which leaves a strong flavour and sediment in the beer, making them cloudy. On the other hand, lagers usually filter all yeast particles out, providing relatively little flavour and no visible remnants in the final product. If you’re worried about your protein intake, it is worth noting that wheat contains much more protein in it than barley. This contributes to thick, long-lasting heads, and is also the reason there’s a haze in most wheat beers. But it does contribute a ‘fluffier’ texture and a distinctively silky mouthfeel! Craft beer distributor in Malta, Birra Biss, is proud to distribute this internationally-renowned, full-bodied beer locally. Boasting subtle acidic fruity flavours and brewed with malt made from at least 50% wheat, when poured, the Paulaner creates a cloudy appearance and is topped by a rich, creamy head. So, what are you wheating for? Contact us at Birra Biss – top beer distributor in Malta! Not only do we offer a wide selection of premium craft beers, we also deliver straight to your doorstep!